Traj Infotech: Ways to use Social Media Marketing more effectively. Ways to use Social Media Marketing more effectively. In today’s digital world, social media is an influential tool because it can reach out to a huge audience. There was a time when people wanted to know why they should use social media for their business. Today, things have changed people want to know how to use social media more effectively. Let’s look into the various strategies on how to use Social media marketing. It is very important to start with understanding your business goals. Need to have a specific goal, to save time. Measuring numbers is crucial to help understand your achievement. Have goals that are realistic and achievable. All your business goals should focus on building a mailing list. Lastly, is to stick to the time limit or deadlines. 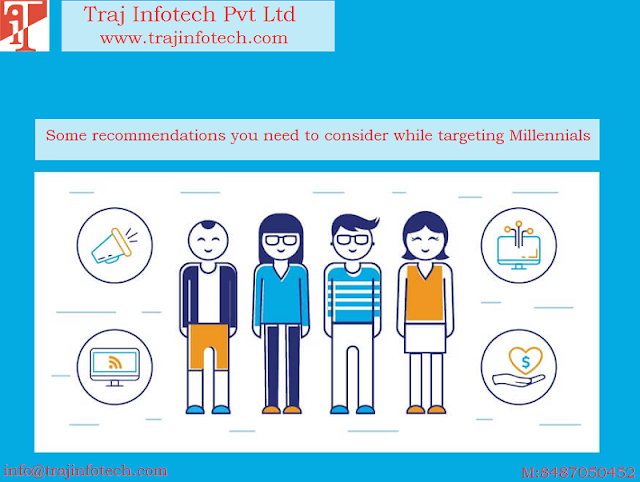 Traj Infotech, Digital Marketing Services in Ahmedabad, can plan strategies based on your business goals. Knowing potential or targeted customers is critical, you need to know what they would like to see on social media, then work on converting targets audience to customers, also understand their likes, dislikes and preferences. Analyze your competitors’ strengths and weaknesses. Use some of the important clues to your benefit. Social media is the right way to keep track of all your competitors. It is vital to conduct a social media audit and evaluate the current hard work, you must know what will work for you and what won’t. Using the right network for your services and products is crucial. Selecting the right network will help you in communicating with your potential customers in the correct way. IT Services can help select the right network for you. There is no issue getting inspired from other businesses that are successful. Know the business story, understand the areas where you lack and try and improve the various social media strategies. Calendar can help you with your blog posting schedule, helps in planning social media activities, such as, sharing videos, images, etc. Need to analyze and improve on your social media marketing strategies, to evaluate web traffic. Hire Traj Infotech - Digital Marketing in Ahmedabad, to boost traffic to your website.